We have had more than our fair share of snow filled weekends this year, fortunately for the latest snowfall, we were in the right place at the right time, enabling us to capture some effective photos! Once the flakes started to appear, the ground became awash with the colour of white pretty fast! We made the split-second decision not to waste the opportunity, quickly choosing a suitable outfit to complement the snow-filled background. 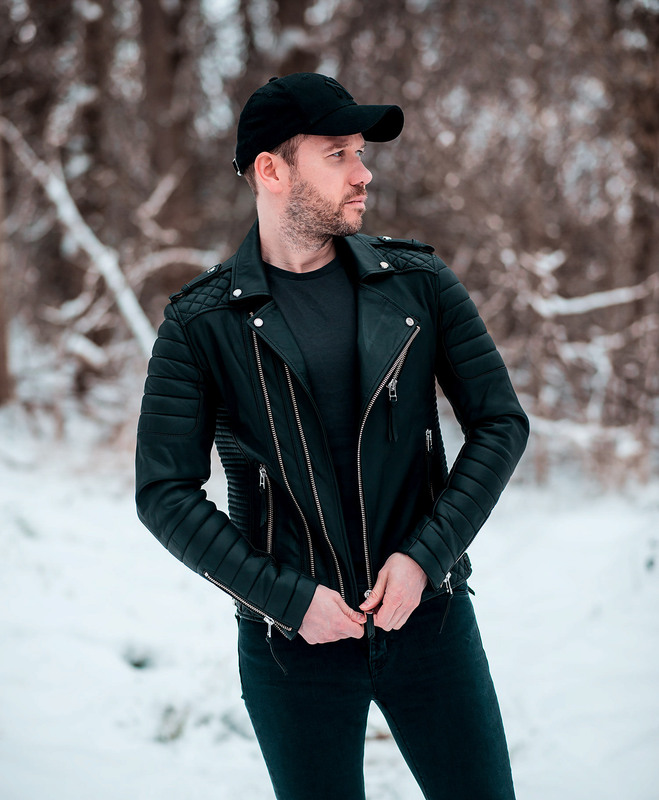 My Boda Skins Kay Michaels Biker Leather Jacket was an obvious choice, with its deep black colouring and contrasting gunmetal hardware. 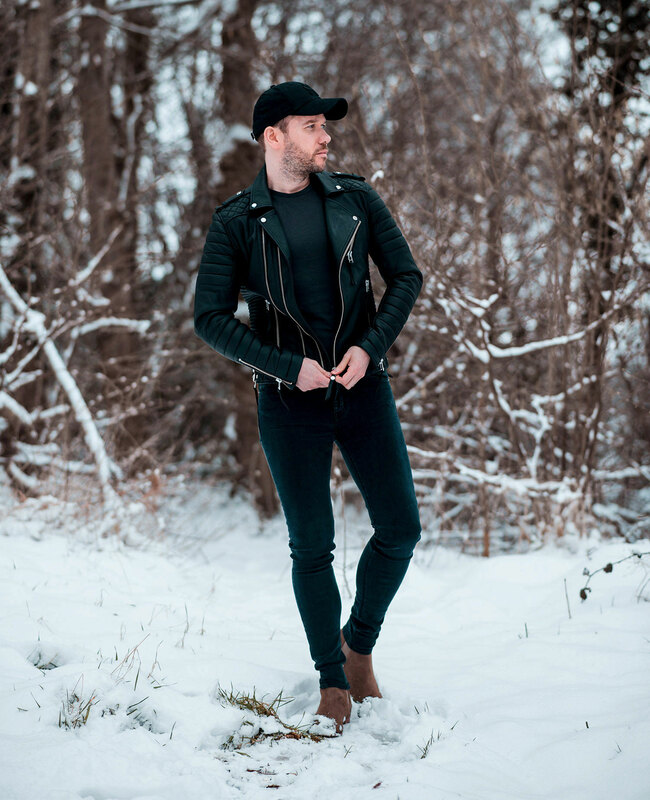 My all black outfit against the gleaming white snow gave an extraordinary look to the final images, definitely worth the effort to get these snaps! I followed the Boda Skins Jacket with matching darker shades, J Brand Maria Skinny Jeans in Seriously Black Wash, paired with my Frank Wright Sundance Chelsea Boots (which got slightly wet in the process!). I completed the look with an ASOS Charcoal Grey T-Shirt and New Era Black Baseball Cap. What do you think of my latest post? 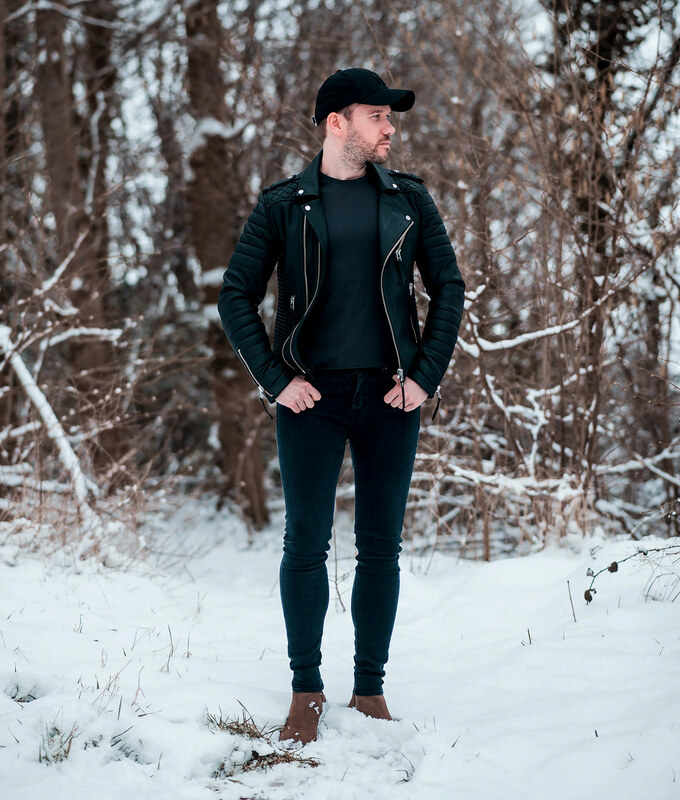 Would you brave the cold snow to get some photos? Please let me know in the comments below! I actually like it paired with the black cap, mostly unexpected when wearing that style. Yeah, I was surprised how it looked with the cap too! Love this all black look. Hi Amy, glad you like the look!